Living in Arizona, YOU need an Experienced Phoenix Criminal Defense Lawyer in your corner at a time like this. When you are convicted of a crime in Arizona, life as you know it changes forever. Gone are the days where your opportunities are endless. Instead, you face the stigma that accompanies a criminal conviction. Your career, livelihood, and future are impacted. Don't take a criminal charge lightly. You have rights guaranteed by the U.S. and Arizona Constitutions. The Phoenix criminal defense attorneys at the law firm of Curry, Pearson & Wooten, PLC will ensure the protection of these important rights. Contact one of our experienced Phoenix criminal defense lawyers today by calling 602-258-1000 or toll free at 1-888-9AZLAWCOM (888-929-5292). You need an attorney with experience and an extensive knowledge of the law. Whether you have been accused of DUI or another crime in Arizona, you cannot afford to face the criminal justice system alone. You need to have a Phoenix AZ DUI Attorney in your corner, ready to go to battle on your behalf. 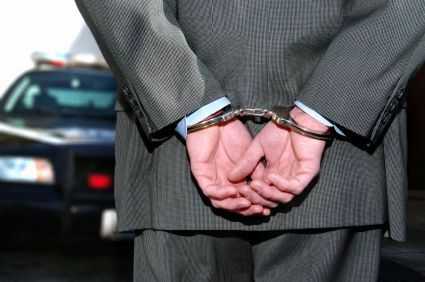 Our law firm has extensive experience representing criminal cases throughout Maricopa County. We know what is involved in the entire criminal justice process, what to expect during the investigation, and, best of all, how to get your charges either dropped or lowered to a lesser offense. At the law firm of Curry, Pearson & Wooten, we understand what you are going through. We know the repercussions of a criminal allegation. Your days are filled with uncertainty and fear, as you await the outcome of the charges. We want you to know that we will do everything in our power to defend you. Our Phoenix criminal defense attorneys recognize what it takes to build strong defenses, and we are familiar with the entire criminal law process from arraignment to sentencing. We purposely limit the number of cases that we represent so that we can give each and every one of our clients the attention that they deserve. Not many law firms practice this way. They take on any and every case, but consequently clients' phone calls go unanswered, the necessary time is not invested in the case and cases are passed on to inexperienced associates. This will not happen if you hire our firm to represent you. Your case is important to us. As our client, you will be represented by attorneys who are aggressive and truly care about you. Our goal is to make a difference for each and every one of our clients while providing exceptional results. For answers to your questions, contact a Phoenix criminal defense attorney today by calling 602-258-1000 or toll free at 1-888-9AZLAWCOM (888-929-5292). The law firm of Curry, Pearson & Wooten represents criminal law clients throughout Maricopa County. View our legal disclaimer for further information.